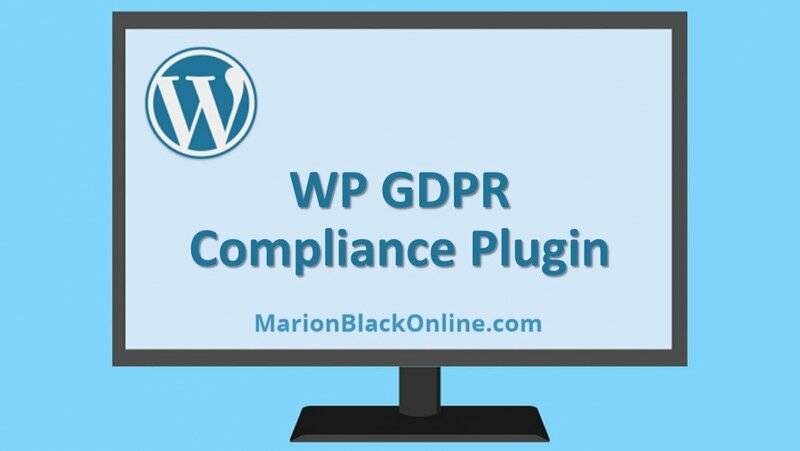 In this video I'm going to walk you through installing and setting up the WP GDPR Compliance plugin. Please note that I do not have a legal background so you should contact a law firm for rock solid legal advice. There are a few important steps here so please watch the video all the way through. Thanks for that I found I didn't have all the boxes checked so thanks for that. Just a quick question when I went to pages and quick edit the data access request I noticed that my name is there as the author but on your video, there is nothing there. Should I leave that part blank or is it ok to have the admin or name there? Just leave it as is, Andre. Every post and page has an author. Plugin used to work well before, now I have installed it on my new website, and after changing the settings I can clearly see, that plugin is not working as it used to for other websites. After checking the box "Request Data" and pressing SEND, nothing happens, I mean there is no message shown, that data was sent to an email, as well as there is no email received itself anymore. What I am doing wrong please? I took a look at the settings I made before and it looks identical, have no idea why it is not working anymore.. The only way to contact them is through the http://wordpress.org support forum. I don't know why you're having this problem, Warrior. Are you sure you've used the correct email address for someone who has left a comment? Excellent video, well done as always! I do have a question for you. I follow every step that you mentioned in the video, but I think I'm missing something. I went and took a look at one of your websites, and I saw that you have the many checkboxes under the comments section. See the picture below. So my question is how did you manage to add those the checkboxes especially this one: Save my name, email, and website in this browser for the next time I comment. HI SONIAZ. DID YOU MANAGE TO FIND OUT HOW MARION DID THE CHECK BOXES? I WOULD LIKE TO DO THIS TOO. I'm so sorry I missed your question 2 months ago. That would have been at the time when I didn't receive the usual notifications from Wealthy Affiliate for a few days. The extra checkbox in the comment form is from the MailPoet plugin. Thanks, Marion, I will install the plugin. MailPoet is for collecting email addresses and sending newsletters. It's a free alternative to AWeber and Get Response. Thank you so much, Marion for this fantastic and timely training on GDPR. Much appreciated. Ok, great, thank you, Marion. Thanks Marion. Have you looked at the new WP 4.9.6 Privacy and Maintenance release yet that Kyle recently mentioned? He said this will be a much preferred approach to achieving GDPR compliance. 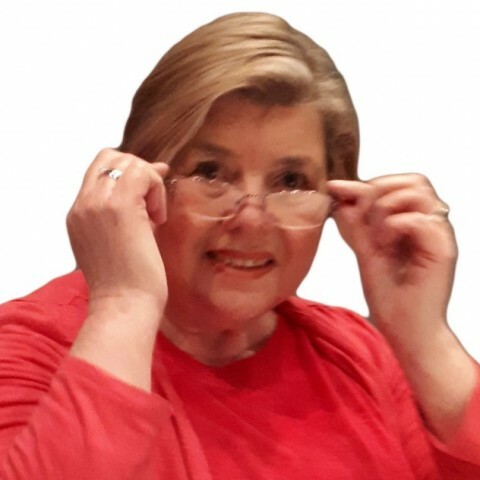 Thank you Marion for this extremely useful video training! You make it so easy to understand. Thank you, Marion. This video was very clear and concise. As always, your help is so appreciated. Many here have posted articles about this GDPR but they were lengthy or incomplete, very unuseful and all confused me. Now, thanks to your clear training Ive been able to set this matter quickly and safely for all my sites.. There was no need for anything else. I'm glad it helps Phil. Thank you so much for simplifying this process! Enjoy your day! Just a great person and individual....Too bad we dont have any of them around anymore! Thanks Marion, was able to install this, but more help is always useful. Thank you for watching the video, Edwin. Much appreciated. Wonderful, thank you very much for making this video. I'm such a visual person and this is very helpful. Thanks again and I definitely have this bookmarked. Thank you Marion, as always you have been so generous with your post! That's good to hear, Roxanne. In case no one has told you lately, I just want you to know that you are awesome! Thank you so much. Easy to follow and understand! As usual another great video by you, Marion. I love to watch your videos when I need help as I find them very helpful. Thank you for your time and patience making your videos so easy to follow. Thanks, Simona. I try my best. Thank you Marion, that was quick and simple just like all of your wonderful training videos! Thank you for taking the time to put up the video. So helpful. Marion, thank you for all your time and effort on this subject. this is really going to help me out! Hi Marion, Thank you so much for this update. I just got back from 3 weeks vacation (Philippines) and I know I missed a lot. This was actually the first thing I did since my return. Do you already have a tutorial video GDPR compliant for Super Socializer plugin? Again thanks & God bless! Welcome back. Sorry, I don't use that plugin so I can't help there. Thank you, Suzi. I do my best. I think you're another "Wonder Woman" like Loes! Thank you once again, young lady! Thank you, Marion:). I think I set mine up wrong before your training came out. I guess I'll go delete it, and start over with your instructions! Thanks, Marion, It is great that you have followed up with this even though the deadline is over. Most people will feel they are compliant, but now we can be sure. Yes, there's a lot more to it than most people realize. Thanks for watching the video, Alex. You're welcome, Louisa. Thanks for watching. Thank you Marion. Very useful and clear. You're welcome, Nadja. Thanks for watching. I added my GDPR request form to my side bar, is this satisfactory or do I need a separate page as well as it on my side bar widget? Is the sidebar widget viewable/accessible on every page? I think it needs to be in the menu too (or instead). Yes, the plug-in is necessary as it allows you to remove people's private information if they make that request of you. Got in all done and thanks to Marion's excellent video, I did it easily. Hope all is good now. :) Thank you! It's a complex legislation, Judy. Thanks to Loes, Mary and others I've been able to put it all together. I have a question: after this, is it still necessary to add the data acces request as a widget in the sidebar or in the footer? Or just add it to the menu? I have been looking at your work this afternoon and it is just GREAT. Congratulations!!!! I will definitely work very hard to get at least try to get close to what you have done online. Have a great day and I thank you for your great posts. Check out the links in the text above. There's more to GDPR compliance than we may think. We are invincible! We are women! I don't have a thumb up, but thumb up!! I'm glad the video helps. Great video though, I just wish the law was more clear on what they want. There are ways around it and even plugins that stop this... just have to be sure you're not placing the cookie and then asking for permission... I could be wrong though... I think Wordpress Core needs to develop that for us so it's not a plugin. The issue I've been seeing is you have to get permission to install the google analytics cookie. What happens though is when you first hit a site, if you don't have a script or a way to block that cookie prior to the consent... it may be in violation.. I'm not a laywer or nor am I a GDPR expert, I even think my site falls outside the scope of GDPR, but from what I've heard... that's the big issue.. I've added like you did. Your help will not be forgotten. Thanks for sharing Marion! Bookmarked! i didn't know about the quick edit check box. That's why I couldn't find the page in my menus. I had created a custom link instead. Once I checked it, I could see the page in the menus box. Thanks Marion, have written it all down, now to "Just Do It"
Please remember to check back on the video to make sure you haven't missed any steps.